Exercise is pivotal to preconception health, and helping your body become fit and healthy before conception is of utmost importance—both in the aspect of fertility and also in the ability to carry a pregnancy without the constant struggles or feeling worn out and sore. Taking just a bit of time each day will go a long way in helping your body support ovulation, conception, and pregnancy. 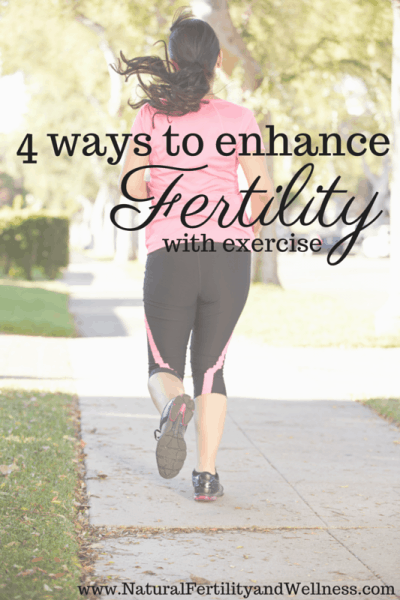 A daily routine void of all exercise can put a damper on your fertility. Lack of movement and activity is very closely tied to excess weight, which causes too much estrogen in the body for women. Remember that 30% of a woman’s estrogen is produced in fat cells. Excess weight can also cause insulin resistance; and when you produce too much insulin, it effects your entire endocrine (hormone) system as well. If you are overweight or otherwise not inclined to workout, adding activity into your life would greatly benefit you! Increase your overall activity if you are currently sedentary– this allows your body to work out in a gentle way, causing no shock to it. You can begin increasing overall activity by simply walking just a little bit further, going on hikes with your spouse, going bowling (ever been sore the day after?! ), riding bikes, parking a bit further from the stores, using the stairs instead of the elevator, etc. Have fun and simply find more ways to move each day and spend less time at the computer or on the couch. Making sure you do not over exercise and do what feels comfortable. (Though it is called a workout, so mild discomfort may be necessary!) Cardio also helps increase blood flow to the body, which is essential for reproductive health. What does this look like? I’d say walking or lightly jogging for about 30 minutes each day (once you get into a daily routine – at first you may only be able to tolerate 15 minutes and that’s ok). Moving enough to break a sweat and get your heart rate up, but not exhaust your body. Fit2Be is one of my favorite exercise outlets! Lead by Beth Learn, it’s an online video site that has multiple different types of workouts. Aerobics, strength training, stretching, yoga…you name it, she probably has a video for you. And the best part is that most of her routines are “tummy safe”, meaning they activate your core properly so you don’t have to worry about diastasis recti happening and it they help keep your pelvic floor strong! (and they can help heal it if it’s already there) She also has a grief routine to help with grief recovery and processing as well as deliberately releasing stored tension. Allows your body to increase muscle mass thereby supporting your reproductive organs (helping to keep everything aligned well) and increasing stamina and strength. Muscle also helps to reduce insulin resistance for both men and women and has also been shown to increase testosterone levels in men. A moderate strength training program for women, 3-4 days per week, is perfect. Too much and you risk the chance that your body gets a stress signal – too little and it’s simply not effective at gaining muscle strength. Men can often withstand heavier lifting and when done properly, often see that testosterone increase. Both very gentle forms of exercise that help strengthen your core muscles and increase blood flow. Also very relaxing and great for slowing down and de-stressing. There are also different forms of yoga that are known to be restorative, which means that by doing specific postures you can help targeted areas of the body heal. One specific type is called Iyengar Yoga. If you can’t find a teacher in your area there are many books on Amazon that teach many of the postures. I have also used the DVD Bend, Breathe, Conceive and enjoy the movement and relaxation of it. It’s very important to allow your muscles to stretch before and after a workout to help prevent injury. It helps your muscles release certain natural chemical properties that contribute to muscle pain. Stretching also allows your body to better mold itself during pregnancy and assists in labor and delivery. Another aspect of stretching is doing so with proper alignment. You see, over the last few years I’ve begun to study the work of Katy Bowman and natural movement. It’s amazing how much less daily pain I experience by following her advice! Instead of chronic foot pain and plantar fasciitis, my feet don’t hurt anymore. Instead of back pain every morning, I feel good! So while stretching is an important part of our health, moving our bodies in the proper way is even more beneficial. As an added benefit, by following her alignment and stretching protocols, it greatly reduces the risk of pelvic issues during pregnancy! Her book Diastasis Recti (available on Amazon) was really informative and helped me make the needed changes. But…exercise can also prevent conception! It’s what many of us want to hear right? That if we actually do get off our duffs, that it could hurt our fertility?! Well….not exactly. When our bodies are overworked, over stressed, or constantly moving, they go into a type of physical fight or flight mode. 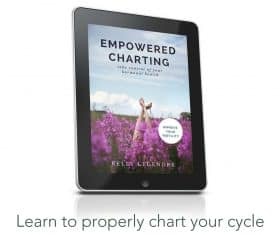 This in turn can impact our natural fertility, as our bodies get the message that it may not be able to support and nourish another little being. Over exercise can affect both men and women alike. When we stress our bodies and constantly push them ‘to the brink’, our stress hormones (like adrenaline) are activated, sending a cascade of effects that can then inhibit production of the reproductive organs. This decrease in fertility is often found in marathon runners, body builder types, and those who constantly push their bodies to failure without break. In men, extreme workouts (especially prolonged cardio) seem to cause the internal body temperature to rise too high, thus killing off sperm and leading to low sperm counts. This can be especially harmful during workouts where the man sits; rowing, biking, etc. In women, it can also cause an unnatural loss of body fat. This super lean body type, which to modern folks may look “perfect,” disrupts the production of estrogen— up to 30% of the body’s estrogen is produced in fat cells. Women with less than 10-15% body fat often fail to ovulate. 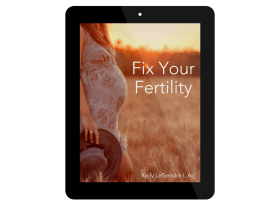 While there is no ‘magic’ exercise that will take care of an issue relating to infertility, it is an important piece in healing the whole body. Office work and our industrialized society has had an effect on our activity levels. We desperately need to move more. But the common workouts in a gym are often times not as beneficial to fertility as we would hope and many tend to become obsessed with harder, faster, stronger workouts and we sway to the opposite end of the spectrum. You are the only one that knows what your body needs. You know if you’re being lazy and making excuses, just like you know when it starts taking over your life. Be your own compass and follow your bodies lead…just move! Hi! New to your blog but have already learned a lot from you in this short time! Would too little body fat/too much muscle mass be a cause of anovulation? I am not ovulating and just wondering if that could be part of the issue. I didn’t ovulate most of highschool and into college (but was a competitive athlete during that time).